Science & technology minister Naledi Pandor says with only 16 dishes launched so far, the MeerKAT is already the best of its kind in the southern hemisphere. 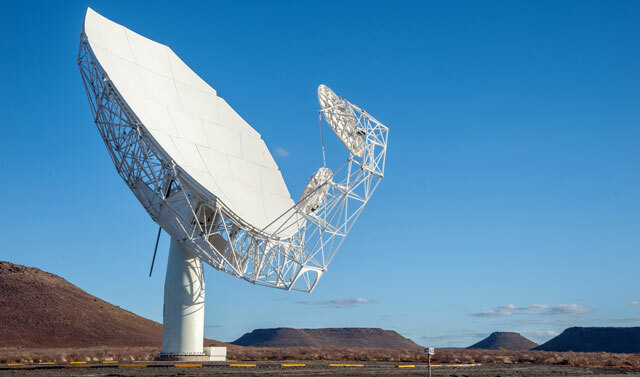 The minister said this on Saturday when she went to the Square Kilometre Array (SKA) site in the Northern Cape to mark the MeerKAT Array Release 1 (AR1) telescope or, simply put, the first 16-dish array that scientists can use for research. “So, right now, with only 16 of the eventual 64 dishes in place, MeerKAT is already better than anything equivalent in the southern hemisphere. “This is astounding because we were supposed to reach that goal only with 32 dishes. We can now expect that when the full 64 dishes are in place at the end of next year, it will be the best telescope of its kind in the world,” she said. The MeerKAT is the precursor to the SKA, which will be built in two phases — SKA1 and SKA2 — from 2018. SKA1 will include two components — SKA1 MID, to be built in South Africa, and SKA1 LOW, to be built in Australia. They will both observe the universe at different radio frequencies. Upon completion, the SKA will be the most sensitive radio telescope in the world. 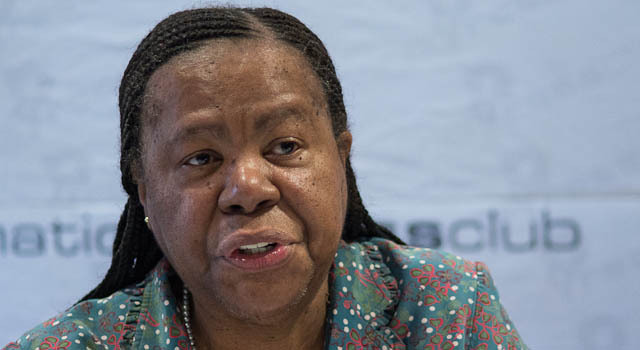 Speaking to journalists from the site where the 16 dishes are located, Pandor said the hard work put in by hundreds of engineers, managers and staff, local and international industrial partners and the support from government spanning a decade was finally paying off. “It is all beginning to come together but there is a great deal of work to be done. This place is going to look very different in five or so years. “I am really thrilled that we got to this point and that now we are beginning to be recognised as a country that can offer world class science to the world. Pandor said South Africans should appreciate the fact that big science brings opportunity to South Africa and to the African continent. “This is not purely a South African project. It is a global project that involves several countries on the African continent. We will have remote sites of the SKA in eight other African countries. Rob Adam, the project director of SKA South Africa, said the launch of MeerKAT AR1 and its first results was a significant milestone for South Africa. “Through MeerKAT, South Africa is playing a key role in the design and development of technology for the SKA. “The South African team of more than 200 young scientists, engineers and technicians, in collaboration with industry, local and foreign universities and institutions, has developed the technologies and systems for MeerKAT,” he said. Demonstrating the performance of the 16-dish AR1 MeerKAT, Fernando Camillo, the SKA South Africa chief scientist, said the new image taken by the radio telescope in a small patch of sky shows more than 1 300 radio galaxies in the distant universe. This is compared to 70 in the previous best image.